I'm back for less than a week and back to covering sample sales. The first one is 'Links of London'. Here's my report for Racked NY. Hoping I can snag some friendship bracelets as gifts but at $50-$75 a pop, I decided it wasn't worth it and came out empty handed. 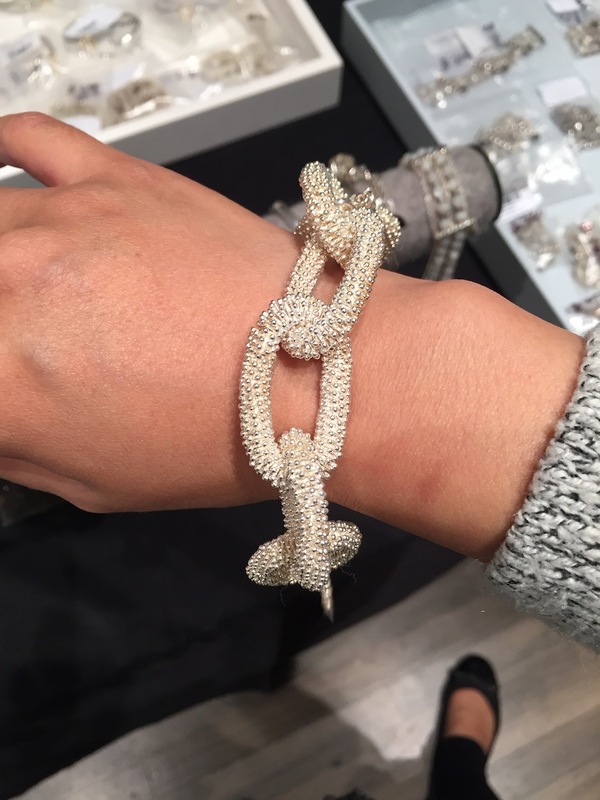 Some of the silver effervescent bracelets looked really nice on me but with no occasions to wear such shiny baubles, $300 for a bracelet seemed steep.